Large portions of one of the world's greatest tourist attractions have been saved. Following a day and a dark night filled with drama, horror and, ultimately, a sliver of hope, firefighters in Paris early Tuesday managed to bring the devastasting Notre Dame Cathedral fire under control after about nine gruelling hours of work. More than 400 firefighters battled intense heat for hours as locals stood by and watched in disbelief. The world tuned into reports on television and radio to get updates on the slow destruction of a tourism icon that draws millions of visitors a year. The famous bell towers at the front of the 850-year-old building survived, as did the cathedral's elaborate stonework facade, with its intricately carved figurines, CNN reported. The network quoted officials as saying that invaluable artifacts were saved, including the Crown of Thorns, believed to be a relic of the passion of Christ. The blaze broke out around 6:30 p.m. Paris time and quickly spread. The cathedral's famous spire collapsed in a wall of bright orange flame at one point, and it appears the entire roof, made of 13th century wood, was destroyed. Some onlookers stood by and sang songs of hope, while others stood in muted silence. Things looked dire at times on Monday. Speaking at the scene of the blaze, Deputy Interior Minister Laurent Nunez, said saving the beloved monument "is not certain." But firefighters were able to get control of the blaze early on Tuesday. 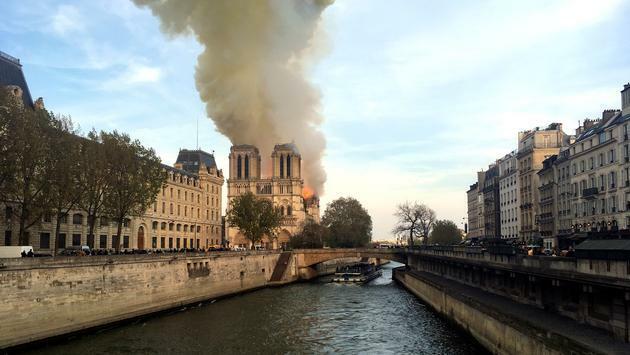 President Emmanuel Macron lamented the destruction of an awe-inspiring building that has embodied the heart of Paris for more than 800 years, CNN reported. But he said the cathedral will be rebuilt and that an international fundraising campaign will be launched. "Notre Dame is our history, it's our literature, it's our imagery. It's the place where we live our greatest moments, from wars to pandemics to liberations," Macron said. Paris officials have launched an investigation into the fire. Reports from France suggest the first call to fire officials suggested a fire in the attic of the building, which is being renovated and was surrounded by scaffolding. 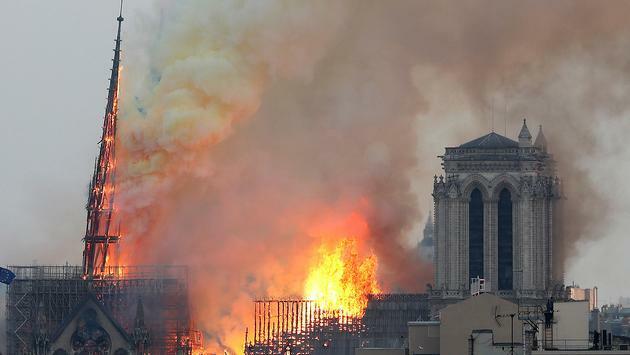 AFP news agency said billionaire François-Henri Pinault, chairman and CEO of the Kering group that owns the Gucci and Yves Saint Laurent fashion brands, pledged 100 million Euros to help rebuild Notre Dame, a UNESCO world heritage site. Another 200 million Euros was pledged by Bernard Arnault's family and their company, LVMH, which includes Louis Vuitton and Sephora. 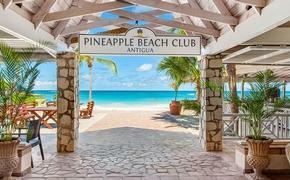 Canadians and tourism officials reacted with horror to the news. In a story posted on the CBC's website, former Victoria resident Geoffrey Finch, who leads a walking tour company in Paris, said he watched the fire rage with his daughter, Chloe. "Seeing this is just something that you can't even begin to think. It goes beyond anything that one would ever imagine," Geoffrey Finch told On The Coast host Gloria Macarenko. "What is Paris without Notre Dame? It's no longer really Paris." "It's like 900 years of history crumbling right in front of us," Chloe Finch told the CBC. "Everyone is silent. Everyone is staring at this, taking pictures, and I think they're all in shock, like I am." "The fire at Notre Dame Cathedral is devastating,” said G Adventures’ vice president of product, Yves Marceau. “[It’s] beyond comprehension. It is an iconic monument to human ingenuity, resilience and architecture that has been part of western culture for more than 800 years, and those who had the honour to visit Notre Dame are among the privileged. There were reports that many if not most of the precious art and historic relics inside the church were taken out after the fire was discovered, but there's no official word on that at the moment. Onlookers stood by in stunned silence as the flames lit the sky, while others sang hopeful songs or wept over the fate of one of the world's most iconc buildings. The medieval cathedral was completed in the 13th century and has been considered a feat of architecture as much as a religious symbol, CNN said.